There are no filing requirements for a single-member LLC that does not elect corporate tax treatment. All the income of the LLC will be attributed to the single member who must report this income on his 1040 tax return. If the LLC engages in an active trade or business, as opposed to acting as a passive investment vehicle, the IRS will treat the member as being self-employed -- instead of paying Social Security and Medicare taxes, he must pay a self-employment tax on all his taxable income derived from the LLC. 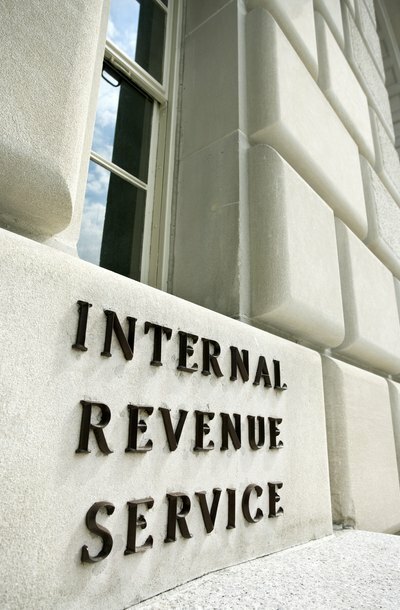 The IRS treats LLCs with two or more members as partnerships. Although it does not tax the LLC itself, the LLC is required to submit the Form 1065 informational tax return by April 15 each year. It must also submit Schedule K-1 to report the allocation of its income to members and distribute copies of Schedule K-1 to all members. The LLC will attribute its income in proportion to the entitlement to LLC profits -- normally each member’s ownership percentage in the LLC. Each member must pay taxes on his attributed share of LLC income on Form 1040 regardless of whether any of it was actually distributed. Each member must pay self-employment tax on his allocated share if the LLC engages in active trade or business. An LLC can elect to be taxed as a "C" corporation by filing Form 8832 with the IRS. If the LLC is taxed as a C corporation, it must file the Form 1120 tax return by March 15 every year and its income will be taxed at corporate tax rates. Members will be taxed at individual income tax rates on income they receive from the LLC. They are not assessed self-employment tax, and are not taxed on any LLC income that is not distributed to them. Members must report dividends on Form 1040. A qualifying LLC can elect to be taxed as an "S" corporation by filing Form 2553 with the IRS. The LLC itself will not be taxed, except for some forms of passive income, but it must file Form 1120S by March 15 every year. Members will be taxed at individual income tax rates, but only on income that they actually receive from the LLC. If the LLC engages in an active trade or business, members will be liable for self-employment tax on income received from the LLC. Members must report their incomes from the LLC on Form 1040.